A simple inside, with room for a holiday note. I really like the Memory Box snowflake. It adds the perfect amount of glimmer. Be sure to check out the Sparkles Christmas Challenge blog. And if you want to join in, the theme this month is a Winter Scene. If you are the lucky winner you can have your choice of 2 dies or 1 die and 1 stamp.... WOW! So, show us what you've got and maybe you'll be the winner! Be sure to link your creation on the Sparkles Christmas Challenge blog page. 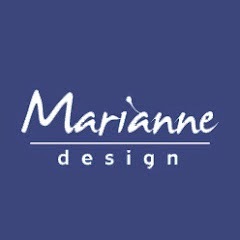 And be sure to check out Marianne Design. Before I go....I want to welcome the newest member to our design team....Welcome Caz! I know you'll have as much fun as I am. Check out Caz's site by heading to the Sparkles Christmas Challenge blog page. Until next time.....Merry Almost Christmas and Hugs from me to you! Beautiful card Mary, lovely scene and colours. Wow. A gorgeous card outside and inside too. Hugs Mrs a. Very elegant colors. Lovely card!